The cobra effect relates to how poorly set targets or solutions result in negative unintended consequences. This often occurs when even when there is a very small difference between the target set and the objective that we are seeking. The use of micro-conversions, and trendy vanity metrics (e.g. Facebook Likes, Shares & Clicks) frequently results in the cobra effect in digital marketing. 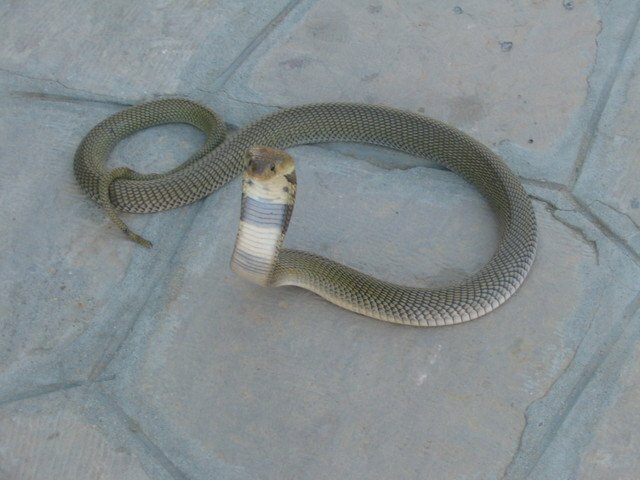 The cobra effect originates from British rule in India when the government was concerned about the number venomous cobra snakes. To try and reduce the number of snakes the authorities offered a reward for every dead snake handed over. Although it initially appeared to be working Indians began breeding cobras for the income they could receive. When the government become aware of this they cancelled the reward and the cobra breeders set the snakes free and so made the problem even worse. Organisations often set targets for vanity metrics (e.g. page views) or micro-conversions (e.g. click through rate or registrations) even though these metrics may not be strongly correlated to revenues or sales. The danger here is that people can’t resist optimising campaigns for the metrics they track, especially if their performance is based on such measures. Advertising and social media marketing campaigns often track Facebook likes, clicks and shares. For this reason social media icons are now placed everywhere you go, from homepages to landing pages, registration forms and anywhere else you can imagine. However, the Head of Marketing Science at Facebook has evaluated these metrics for an article in the Journal of Advertising Research. This clearly states that metrics such as likes, clicks and shares are meaningless and useless. There is no correlation between these metrics and real-world effectiveness. And yet, as Brad alludes, many hours are spent by marketers producing reports on these very same metrics. This may partly explain why removing social share buttons on certain pages of a user journey can improve the conversion rate. It is highly unlikely that visitors want to share every page they visit. By removing social sharing buttons from its product page Taloon.com increased add to cart by 11.9%. Richard Shotton, author of The Choice Factory, argues that digital marketing is suffering from the Cobra effect by increasingly focusing on short-term campaign objectives of views, visits and sales. He suggests marketers can’t help but to optimise campaigns on these metrics because they track them. Indeed, an analysis by Peter Field of the IPA campaign databank indicates that short-term campaigns accounted for only around 7% of the databank in 2006, but by 2014 theyhad risen to a third (33%). Unfortunately what works in the short-term often doesn’t translate into long term success. Using the IPA databank Peter Field also found that in the first year direct campaigns outperform brand campaigns by around 60%. However, over a period of three years brand campaigns outperform direct by around six times. In online gambling offering free cash for registering a new account is a common incentive for new customers. This will usually lead to a big uplift in new accounts being opened, but it also encourages people to open multiple accounts to claim more than one bonus. As a result relatively few customers may make a first time deposit and become a real-money player (RMP). If marketing set targets for registrations (PMPs) rather than RMPs there is a danger campaigns will be optimised accordingly and this will reduce RMP conversion. When setting targets it is important to align it as close as possible with the overall objective to avoid negative unintended consequences from the cobra effect. Avoid using vanity metrics or micro-conversions as targets because people will naturally optimise campaigns according to the metrics they monitor. This is likely to distract from more important key performance indicators that directly relate to your objective and can harm important conversion rates. But also look out for changes in the behaviour of your employees to check they are not becoming too focused on the target rather than your business goal.